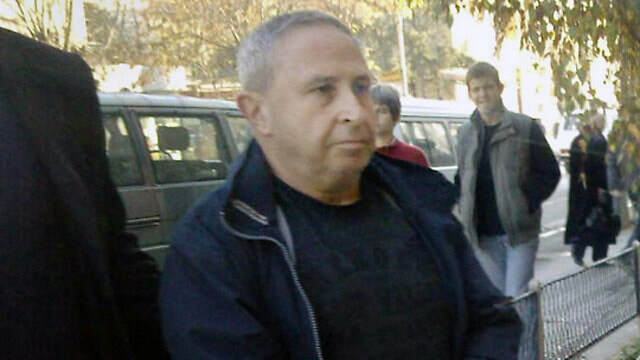 Moshe Harel was accused by Kosovo of illegal medical procedures, organized crime in 2011, with Interpol issuing warrant for his arrest; located in Cyprus, Kosovo police seeks his extradition to stand trial; Harel allegedly part of organ trafficking ring arranging kidney transplants for rich Israelis. An Israeli citizen accused of involvement in a human organ trafficking scandal in Kosovo a decade ago has been arrested in Cyprus and the authorities in Kosovar capital of Pristina have requested his extradition to face trial, police said on Friday. 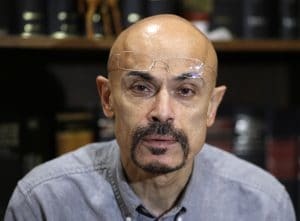 A European Union prosecutor announced in 2011 that the Israeli, Moshe Harel, and a Turkish doctor named Yusuf Sonmez were accused of performing illegal medical procedures and involvement in organized crime in the southeastern European country. The pair is also wanted Interpol and international warrant for their arrest has been issued. Harel was arrested and questioned in 2008, but refused authorization to leave Kosovo and return to Israel, pending the investigation's requirements. Kosovo authorities also stated Sonmez's current whereabouts were unknown. Harel and Sonmez's network was exposed in 2008, when Kosovar police raided the clinic in which the operations were performed following suspicions that a Turkish man had sold his kidney to an Israeli citizen. He was found after the operation in the Pristina airport when he attempted to board a plane to Turkey, and was hospitalized. Police accuse Harel of seeking out people in need of kidney transplants and of luring donors to Kosovo from Turkey and the ex-Soviet Union with the promise of up to 12,000 euros ($14,500) in payment. Recipients, mainly Israelis but also some in Canada and Poland, paid between 80,000 and 100,000 euros for the organs. Some donors never received any money. "Based on an international arrest warrant the suspect M.H. was arrested a few days ago in Cyprus. He has been a wanted person since 2010," police spokesman Baki Kelani told Reuters. Russia has also issued an international arrest warrant for Harel, who was arrested in Israel in 2012 in connection with a parallel investigation, but was not extradited to Kosovo, which has no diplomatic relations with Israel. The director of the clinic where the operations were performed, urologist Lutfi Dervishi, was sentenced to eight years in jail for organized crime and human trafficking and his son Arban for seven years in 2013, though both men went into hiding and have not served their sentences. In 2016 a Kosovo court ordered a retrial of doctors and officials convicted of involvement in the case and that trial is still ongoing. They have all denied any wrongdoing. Police said Lutfi Dervishi had been recaptured last year and was among those now being retried. His son and Turkish doctor Sonmez are still at large. In November 2008, a Turkish man named Yilmaz Altun crashed to the floor of the airport in Pristina, the capital of Kosovo. The 23-year-old had been waiting for a flight home when he collapsed. In checking on the ailing young man, authorities discovered a large fresh wound snaking down his abdomen. His left kidney was gone. Altun told police he had donated the organ at a clinic called Medicus on the city’s outskirts. A broker in Istanbul had offered Altun a generous sum for the kidney. He would later recount lying in the same room as the man — a 74-year-old Israeli — who had paid about $145,000 for his organ, the Guardian reported in 2010. The two men, donor and recipient, locked eyes before the anesthetic kicked in. The young man’s collapse was the first domino to go in a complex investigation into an international organ black market operating out of the Balkan country. Desperate donors, mostly from Turkey and the former Soviet Union, provided the organs. Buyers, many from Israel, paid between 80,000 and 100,000 euros ($96,000 and $120,000) for the kidneys. International prosecutors would later determine at least 23 people had their organs removed at Medicus in an eight-month run in 2008. Despite the investigation, the main players behind the Medicus operation have continued to slip from justice — until last week. On Friday, authorities in Pristina announced Moshe Harel, an Israeli national, had been arrested in Cyprus, Reuters reported. Accused of being the fixer who found donors, Harel has been wanted by Interpol since 2010 on charges of human trafficking and intentional infliction of grave injuries. He is also wanted on a warrant for the same crimes in Russia. Organ harvesting is a particularly sensitive topic in the region due to Kosovo’s war-scarred recent history. An international court was set up after a 2010 report from the Council of Europe accused guerrilla fighters of harvesting organs from Serbs in the 1998-1999 Kosovo War, Reuters has reported. The charges have yet to be substantiated, although the rumors remain part of the conflict’s haunting legacy. Local authorities raided Medicus within hours of Altun’s 2008 airport fall. Inside the clinic, investigators discovered records detailing numerous kidney exchanges, with many clients traveling from across the world, including Canada, Germany and Poland, for the illegally harvested organs. According to the Guardian, Medicus was allegedly run by Lutfi Dervishi, a prominent Kosovo urologist, and his son, Arban. The procedures at the clinic were allegedly performed by Yusuf Ercin Sonmez, a Turkish surgeon know as “Doctor Vulture” in his homeland after he was banned from practicing medicine in the country for his role in the illegal organ trade. Harel was “a key figure in the trafficking and organized crime aspect of this case, as the prominent facilitator or ‘fixer,'” judges later determined, the Irish Times reported. Harel was arrested in 2008 in connection with the Medicus investigation. He was later released and disappeared. Sonmez also could not be located. In 2010, both men were indicted by European Union prosecutors, according to Haaretz; Dervishi and his son were also indicted and both pleaded not guilty. In 2013, judges found both Dervishis guilty of organized crime and human trafficking. In their ruling, the judges noted the men behind Medicus purposely lured poor individuals into the operation. Following the verdicts, Dervishi and his son Arban were sentenced to eight and seven years in prison, respectively. They ran. In 2016, Dervishi was rearrested. His son remains missing, as does the Turkish surgeon, Sonmez. In a twist last year, the Kosovo Supreme Court overturned the 2013 convictions due to “procedural irregularities.” Prosecutors are retrying Dervishi, and he could soon be joined by the alleged fixer, Harel. Last Friday, Kosovo authorities confirmed to Reuters an official request for Harel’s extradition has been filed with Cyprus. Harel’s has not commented or entered a plea.